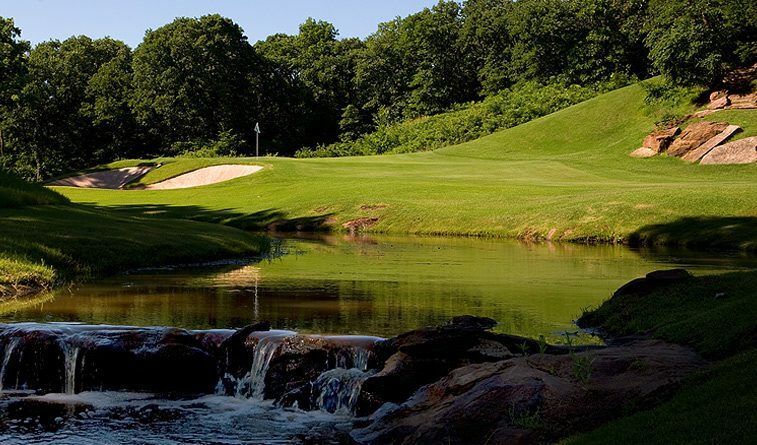 Photo: Karsten Creek Golf Club. STILLWATER, Oklahoma — In quarterfinal action from the 2018 NCAA Division I Women’s Golf Championships, Alabama (No. 1) and Southern California (No. 3) advanced in the first wave of matches while Stanford (No. 5) and Arizona (No. 8) moved on from the second pairings. The semifinals are underway this afternoon’s winners will compete for the team championship tomorrow, teeing off at 2:25 p.m. The championships are hosted by Oklahoma State University at Karsten Creek Golf Club, a par 72, 6,328-yard course.